There are a number of ways to see Berlin – whether on foot, by bicycle, on a hop-on hop-off bus or even on a leisurely cruise down the beautiful River Spree. I visited recently and investigated three ways to see this beautiful city from on high. The Reichstag was built in 1894 but suffered extensive fire damage under suspicious circumstances during the Third Reich in 1933. It fell into disrepair until it was fully restored after the reunification in 1999. If the design looks familiar to anyone who has visited London, it is because it was designed by the same architect who is responsible for designing the building at 30 St Mary Axe, known affectionately by the locals as The Gherkin. 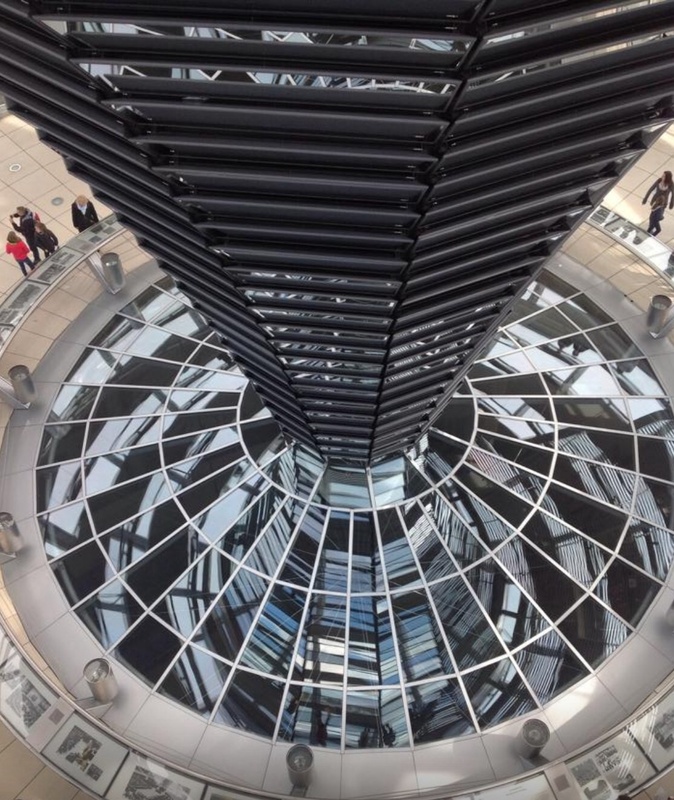 Visits to the Reichstag are timed with entry every 15 minutes. The building is open daily from 8am to midnight and gives 360 degree views over the Berlin cityscape with its forests, parks, gardens, rivers and lakes. 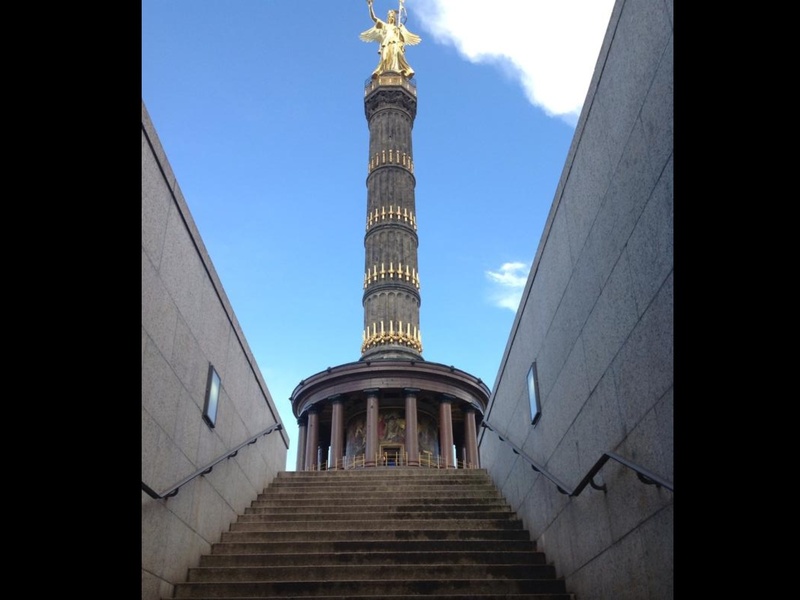 Originally situated in front of the Reichstag Building, the Victory Column was moved to its current position beside Berlin’s largest park, the Tiergarten in 1939. It was to form part of Hitler’s vision for Berlin to be the World Capital of Germany following a victorious conclusion of the Second World War. As history played out, this was not to be. Opening hours are 9:30 a.m. – 6:30 p.m. (April – October), and 9:30 a.m. – 5:30 p.m. (November – March) and if you feel fit enough to climb the 285 steps you will be rewarded with great views down to the Brandenburg Gate and over the Tiergarten. If you are limited by your mobility, there is a viewing platform halfway up the column. Built in the sixties, the TV tower is a landmark of the Berlin skyline. Situated directly opposite the Alexanderplatz train station, it is close to many of Berlin’s attractions – the Reichstag, Museum Island and the Berlin Cathedral. With its panoramic views from over 200 metres up, the TV Tower is a great place to get your bearings before you start your sightseeing tour of Berlin. The tower features plaques at every viewpoint which offer a brief description of the sights and landmarks you are seeing. Have you visited Berlin and enjoyed a bird’s-eye view from one of these (or another) vantage points? Which would you recommend?